Assuming you enjoy fun, there are three types of joy-spoilers you should never invite to a party: conspiracy theorists, nihilists, and people from PETA. Case in point: Pokémon Go was released last week, and (literally) the entire world went wild. In just seven days, The Guardian reported, the game had surpassed Twitter in daily US users. But then PETA appeared, uninvited, with an unsolicited announcement: Stop having fun. 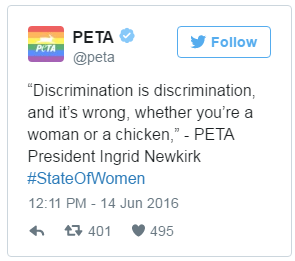 PETA’s version isn’t for fun—it’s a platform for preaching their radical ideology. For instance, the PETA Pikachu has four attacks: the violent Quick Attack and ThunderShock, paired with the cute Group Hug, and Protest. But players, especially kids, will learn quickly that violence gets you what you want faster (i.e. 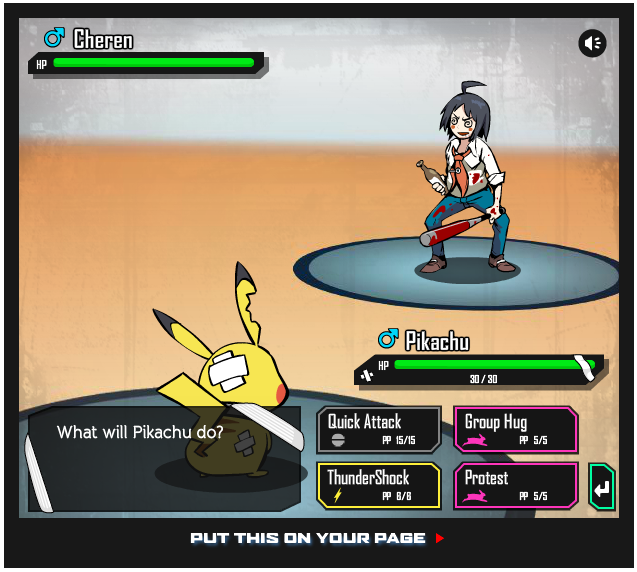 “Pokémon Liberation!” as the game’s home screen says). Attacked Disney for putting down alligators while searching for the body of a toddler who had been killed by one. And let’s not forget PETA’s worst from over the years—like comparing farms to concentration camps, or kidnapping and killing somebody’s Chihuahua. And that’s why you never invite PETA people to your party.